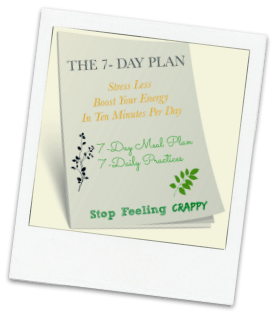 Improve your mood and boost your energy with your free 7-Day Plan. Practices can be done anywhere, anytime and cost nothing. Includes a 7-Day Meal Plan with sample recipes—each takes less than 15 minutes to prepare. No kidding. As a member of our community, you never miss a post AND you get access to my free 7-Day Plan. Sign up today and take your first step towards a happier, healthier and more fulfilled life. We’re on this journey together. Learn the foods that you should eat every day for optimum health and weight loss. Science-backed approach to eating more of foods that boost your health. Cheat sheet for being healthy without spending tons of time cooking.